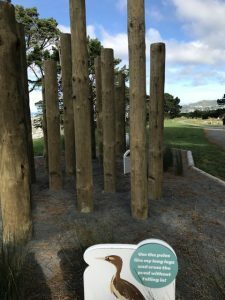 This is a sort of obstacle course spread out over half a kilometre, near the Mount Victoria lookout, which encourages both kids and adults to have a go and challenge themselves while taking in the wildlife facts as they go. This could be part of a longer walk through the town belt and the Southern Walkway. 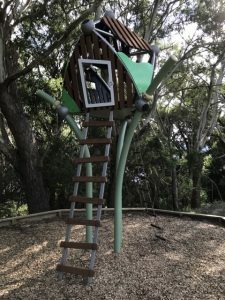 There are 6 main features from a treehouse at one end (which aims to give the climber a bird’s eye view) to a series of posts at the other end (which you use the carved out footholds to navigate your way along, pretending to be a wading bird). Balance, climbing and sliding can all be tested, along with problem solving. Preschoolers might struggle with some of the challenges but could still have fun running in and around the equipment and finding the next one. The paths around the nature trail are buggy friendly and where there are steps (like near the slide), there’s an alternative path you can take. 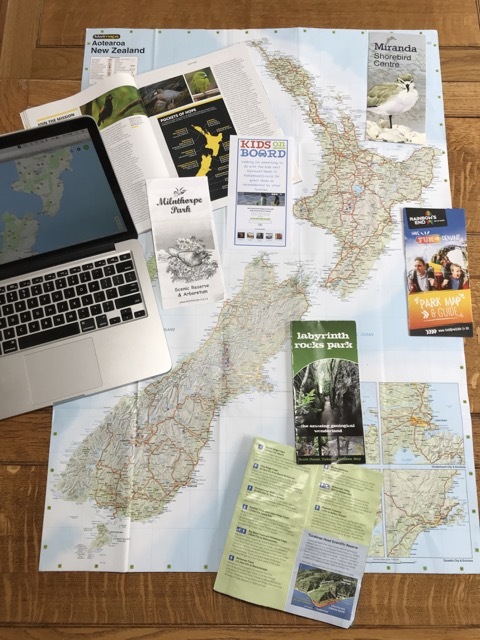 It’s worth noting that the track is quite steep and might be best attempted in a south – north direction if returning to your starting point, so that the return is all downhill! There are toilets at the northern end of the equipment and a few benches dotted along the way. There are also maps of the whole area at both ends. You could easily continue to the top of the Mount Victoria lookout which is visible from the northern most piece of equipment. Address: Alexandra Road, near the Lookout Road loop for the upper most section of equipment, winding down for about 500 metres to near where the Mount Vic tunnel runs underneath the hill. There are places to park at both ends as well as at the mid way point.